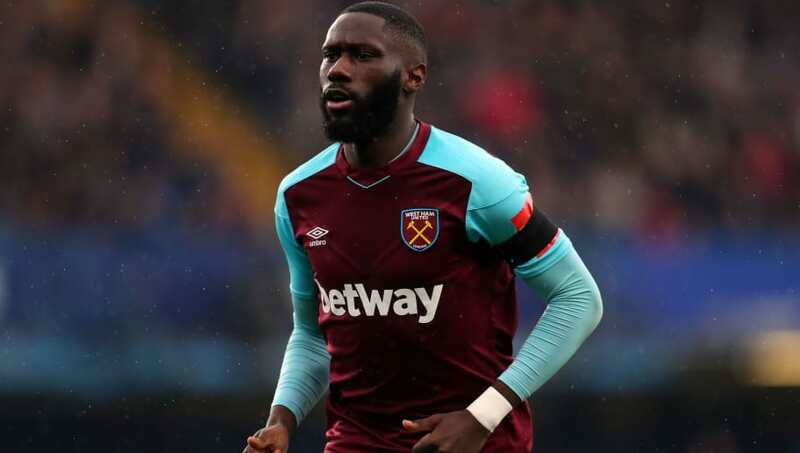 ​West Ham’s in-form wing-back Arthur Masuaku has taken to social media to pour cold water on a Hammers supporter’s claim that the DR Congo international no longer wishes to be at the London Stadium. The Twitter episode followed a claim from pundit Danny Murphy that only five players, not including Masuaku, should be retained at West Ham next term, with the rest sold as a consequence of enduring a poor campaign this season. ​Football.London report that the defender, who has become a highly popular figure among West Ham fans following a string of impressive performances under David Moyes this season, felt it necessary to correct a fan who took to the social media platform to question Masuaku’s commitment to the club. The short and to-the-point nature of Masuaku’s response is sure to have both reassured and humoured many of the West Ham faithful, who have taken warmly to the full-back’s energetic and powerful performances on the Hammers’ left flank this season. His contributions have been one of the few bright points in a campaign which has seen West Ham struggle for large portions of the campaign, and at times give reason for supporters to fear the worst as the Hammers came dangerously close to the relegation zone. ​David Moyes’ succeeding of Slaven Bilic as manager in November did, however, see West Ham find improved defensive solidarity, which Masuaku has been a strong and consistent feature in, and has ultimately rescued the east London side from a worse fate. West Ham must build on those improvements heading into next season and look to ​strengthen a squad which has often failed to convince and been depleted by injuries during the current campaign. The Hammers must strive to reach the greater heights which their move from the Boleyn to the London Stadium had promised to inspire. Whatever changes are made over the summer to guide West Ham to improve on their inconsistencies and weaknesses next season, it appears that Masuaku remains on board for the challenge.